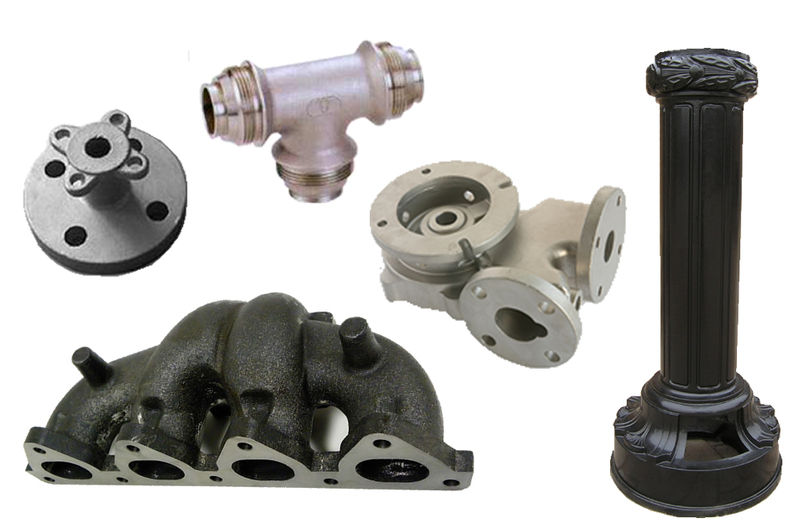 Compared to other kinds of cast iron, specifically grey iron, ductile iron castings are much less brittle and are more resistant to impact and fracturing. This difference is attributed to the differing structure within the iron. Ductile Iron Castings – MES, Inc. Both ductile iron and grey iron contain graphite, but the graphite takes on very different shapes in these two materials. In grey iron, the graphite takes on sharp flake shapes which create points of high stress within the metal, making the material brittle and easily fractured. The graphite in ductile iron, however, takes on a spherical or nodular shape, which greatly improves the ductility of the material. The name ductile iron is actually a very broad term for many different kinds of ductile iron materials. This kind of iron comes in many varieties which are distinguished based on their individual constituents. Many different elements can be added to the iron composition to enhance or alter its properties. For example, magnesium is commonly used as the “nodulizing element,” but other elements like tellurium, cerium, and yttrium can also be used for this same purpose. Additionally, other elements, such as copper, nickel, tin and chromium, can be used to enhance other properties like tensile strength and corrosion resistance. Therefore, ductile iron can be made with very different compositions. Due to its enhanced durability, ductile iron is used in many different industries for all kinds of applications. Ductile iron is especially useful in applications which require greater strength than that provided by aluminum but do not require steel. Thus the automotive, agricultural, oil and manufacturing industries gain great advantages from this material. The majority of ductile iron production is dedicated to creating pipes for water and sewer applications. Ductile Iron Casting Ductile iron, a synthetic metal material that was invented in the middle of the twentieth century, is one type of iron used to make cast iron parts and products.